These are the words I hear all too often. Most chronic fatigue sufferers think they’ve tried everything. But I can confidently tell you that you haven’t tried it all. Chronic fatigue syndrome, or CFS, is a debilitating and complex disorder characterized by profound fatigue that is not improved by bed rest and that may be worsened by physical or mental activity. People with CFS most often function at a substantially lower level of activity than they were capable of before the onset of illness. In addition to these key defining characteristics, patients report various nonspecific symptoms, including weakness, muscle pain, impaired memory and/or mental concentration, insomnia, and post-exertional fatigue lasting more than 24 hours. In some cases, CFS can persist for years. At the Naperville Institute For NeuroMetabolic Solutions, we see so many women and men who fit this profile of adrenal imbalance. Your tired, Run down, mentally exhausted, unable to stay asleep or fall asleep and dependant on sugary snacks, caffeine or energy drinks. 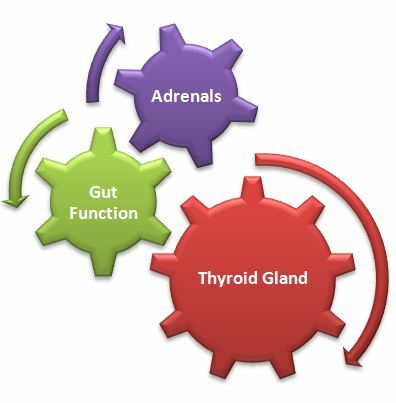 Your adrenals are powerful endocrine glands that help your body react to stress while keeping those reactions in balance. They produce a range of hormones which protect us by releasing energy stores and sharpening our senses so we can immediately defend ourselves or escape an emergency or threat. In its normal state, your body responds to stressors and quickly recovers to a state of healthy, energized calm. But if you are experiencing chronic or prolonged and ongoing stress, adrenal function can be disrupted, leading to symptoms of adrenal imbalance. Your symptoms are your body’s alarm and way of asking for Help. Are you giving your body what it needs to recover or are you just shutting off the alarm so you no longer here it? People of every age, gender, ethnicity, and socioeconomic group can have CFS. Regain your adrenal balance, naturally — relieve fatigue, sleep issues, weight gain and other symptoms of stress without using medications. At the Naperville Institute For NeuroMetabolic Solutions, we have developed a Functional metabolic approach that has proven successful in supporting those who have battled this debilitating condition. Your physiology and life history are unique. Your path to adrenal balance will be unique too. We will help you find what works best for you, and the way you live. If it took you many years to get where you are today, it may take you only a few months to get better. But we promise to be here for you every step of the way. Our Personal Program can help you manage the effects of stress by relieving your symptoms and promoting natural adrenal balance. We’ve created custom approach to address each individual’s specific adrenal profile and biological uniqueness. We implement advanced laboratory testing to uncover the cause of your problem. Every single person who comes to Naperville Institute For Neuro Metabolic Solutions has a unique set of mechanisms or causes behind why they feel the way they do. Once we identify those mechanisms, you can be on the road to recovery. Our Treatment for People suffering with Chronic Fatigue Syndrome is tailored to your individual needs by using your blood work (and other tests). You can learn more about the tests we use here. There are hundreds of scientific studies done every year that continually provide us with the knowledge to make the best choices for you. We want to get you better…faster. This is the most comprehensive, scientific, and objective way to satisfy your body’s nutritional needs with laser-like accuracy. Imagine knowing exactly what you need in order to sleep well, decrease pain and inflammation naturally, restore your energy and return to the things you love most. In other words, this work is more involved than determining a lack of calcium (or whatever vitamin/mineral you consider). We now think in terms of a “body systems” approach to evaluation and support. Examples include understanding how the immune system, hormones and digestion link together and influence one other or perhaps how the brain is affected by inflammation generated by food sensitivities. The relationships are almost endless, which is why you need someone who understands how to put all the pieces together. For a variety of reasons most blood work ordered today is often limited to a very basic number of tests. This limitation is usually tied to both the doctor’s understanding and what your insurance company will cover. That is why having a chronic condition can be so frustrating. It seems like nobody is willing to go the extra mile and really help you. Medicine is also disease oriented, not necessarily functionally oriented. Institutional medicine likes to break things up into compartments and often sees different functions of the body as isolated events. The problem is that isn’t how the body really works. Everything is inter connected like you see in the illustration above. Functional Medicine is different. It seeks to understand the relationships between varies “systems” of the body, the interplay or dance (if you will) of your metabolic fingerprint. Once your metabolic fingerprint is known and we understand where your metabolism is breaking down then a list of priorities can be established. Specific plans for correcting or improving these metabolic faults are given along with timelines for correction. We also go beyond standard testing. Consider our testing as “Out Of The Box” because we go past institutional medicines testing limitations by ordering comprehensive studies and matching those findings with your history, questionnaires and neurologic exam findings to determine the best course of treatment. Once you’ve been following the prescribed care for some time, follow-up tests are performed to demonstrate your progress. Won’t it be nice to know how you are responding to the treatment? You can fall within the reference range of “Laboratory Normal” and still be unhealthy! We use functional ranges (not just the laboratory ranges) to understand if your health is moving in an unhealthy direction. Why continue to suffer from the debilitating effects of Fatigue, Weight gain, Insomnia, Restless Leg. If you are interested in seeing if you qualify for our Natural Non Drug treatment Program for Adrenal and Chronic Fatigue call The Naperville Institute For NeuroMetabolic Solutions (630) 718-0555. We Cannot accept all patients into our Hormone Recovery program. Call and request a Free Phone consultation to see if you qualify.